Seattle’s Madison Park neighborhood was named after the park that lies along the Lake Washington shore at the foot of East Madison Street, the first street to run from Puget Sound to the state’s second largest lake. Despite its close proximity to the city center, it’s long been considered a popular destination for enjoying a warm summer’s day. Ideal for those who want to live a hip, high quality lifestyle in an urban center, owning Madison Park waterfront real estate means easy access to the many amenities Seattle offers along with several blocks worth of eateries, shops and spas that are just steps away, not to mention those jaw-dropping water views and the chance to swim, kayak and more, right from your front door. Madison Park waterfront homes provide the opportunity to feel as if you’re on vacation every day, while also being part of a supportive community that’s almost more of a seaside village than an urban neighborhood. 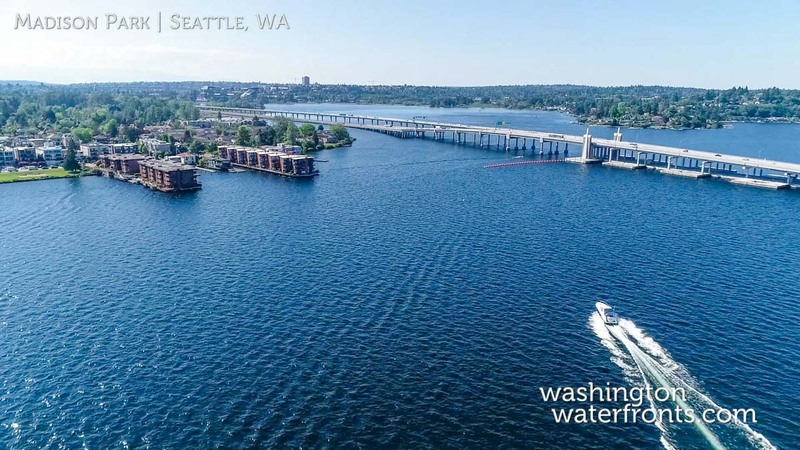 Enjoy the beach town-style stores and restaurants that capitalize on the picturesque waterfront location, and then coming home to your very own Madison Park waterfront property to continue soaking up those mesmerizing views. Prospective Madison Park waterfront real estate buyers will find homes that range from classic to modern architecture, including a number of iconic and historic dwellings, with lot sizes running slightly larger than properties you’d find in other Seattle neighborhoods. Ideal for those who want to enjoy a more nature-centric atmosphere, not only are there multiple parks and lakefront spaces, but the Madison Park community is renowned for providing some of the best views that can be found in the entire Pacific Northwest. Although Madison Park is home to multiple summer-only residents, the outstanding dining and shopping venues are available year-round, while downtown Seattle and all of its entertainment and attractions are just minutes away. Somewhat removed from downtown itself, Madison Park waterfront real estate provides a refreshing retreat to come home to, away from the hustle and bustle of neighborhoods closer to the city center. Take advantage of our industry-leading tools to make your property search as easy as possible and be sure to register for a FREE account so that you can receive email alerts whenever new Port Madison real estate for sale hits the market. If you’re seeking to sell your Port Madison property, contact our Waterfront Specialists directly for a comprehensive listing analysis and to learn more about the cutting-edge marketing strategies we’ll use to sell your home quickly for top dollar!